Now stocking a gorgeous new range of Furla frames and sunglasses. 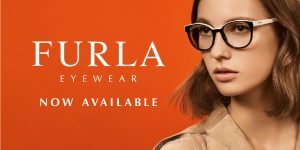 Claim £10 off all Furla frames and sunglasses * – simply leave a comment “I love Furla” at the bottom of this post, and mention this offer in-store when you purchase your glasses. * Only while stocks last. Offer not transferable to other frames or purchases.